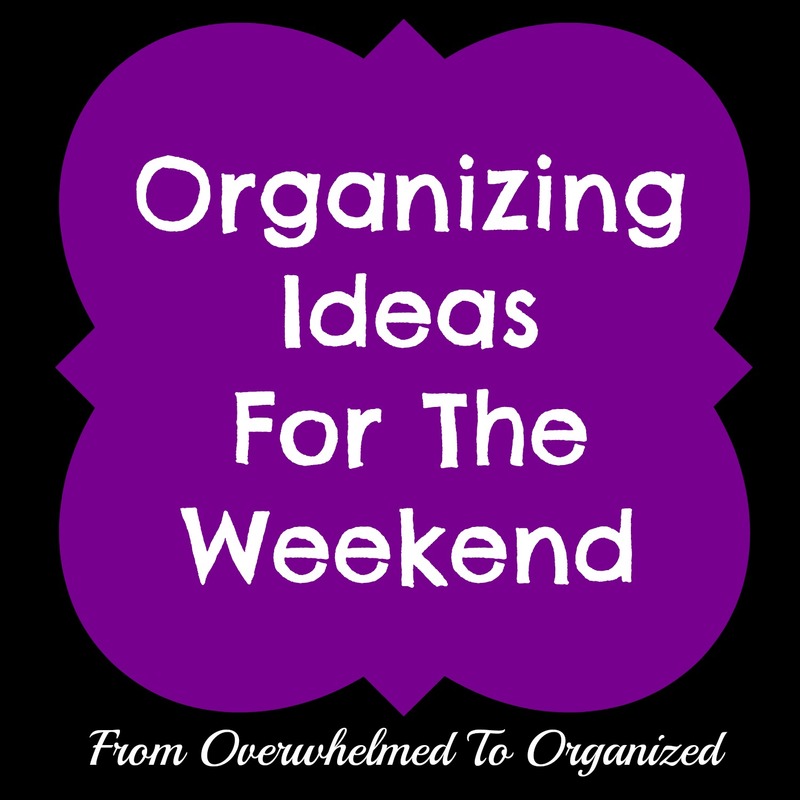 But, I'm here now with another organizing idea for the weekend for you! With the new year, now is the perfect time to put together a planner or a home management binder. These are a great way to keep all the details of your life in one place. If you have difficulty keeping your life organized then one of these will be a great tool to help you. There are lots of great examples out there. Most are customizable so you can include the pages you need and leave out the ones you don't. The key is to figure out what will work best for you because every family and every home is unique. And my friend Alli at Scattered Squirrel has a TON of great printables to create your own home management binder, personal planner, weekly planner, or whatever you need! 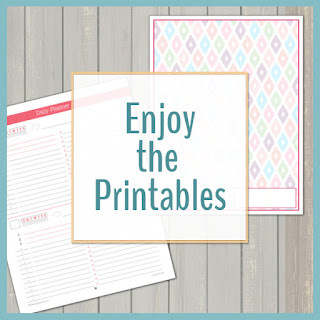 So, this weekend, get started on a home management binder or planner! 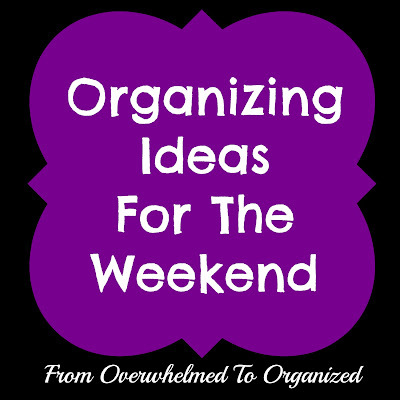 Just spend 10-15 minutes this weekend figuring out what sections will help you stay organized the most. Then get a binder (you probably have one laying around anyway) and some dividers. Put together one section at a time. Start with the one that will make the biggest difference. Then use that one for awhile. Once you see how much that section helps you stay organized, add another section. Then another. And another. At whatever pace you can. Eventually you'll have a binder that works for you! Do you have a home management binder? What do you like most about it? What tips or suggestions can you give to someone just starting out with one? Thanks for the links for the pages: think I found one that I would enjoy using to get things more together! Hi Hilda, I always look forward to reading your posts. You always have such wonderful ideas and tips to share. Thank you so much for the mention, I'm honored you would include my little ole blog in one of your posts! Thanks again! Im going to start putting together a Home Binder very soon!! and..Im also working on re-organizing my Recipe binders. Great info--thanks for sharing. And thanks for visiting and following me. I'm your newest GFC follower. We hold a blog hop every Monday, the Creative Corner Hop. If you have something you would like to share, come party with us. The link will remain open all week. I Love Freecycle - Free Gifts! I'm co-hosting the Let's Get Social Sunday party!